New Delhi, March 28 (Indian Express): A senior Indian government official told The Indian Express: “The days when India believed that South Asia was its primary sphere of influence and that it could prevent other powers, such as China, from expanding its own clout are long gone. The two countries are sizing each other up in the aftermath of the Doklam crisis last year when they faced off on the Himalayan plateau. “The days when India believed that South Asia was its primary sphere of influence and that it could prevent other powers, such as China, from expanding its own clout are long gone,” a senior government official toldThe Indian Express. “India cannot claim sole proprietorship of the region. We can’t stop what the Chinese are doing, whether in the Maldives or in Nepal, but we can tell them about our sensitivities, our lines of legitimacy. If they cross it, the violation of this strategic trust will be upon Beijing,” the official said. Despite some harsh words about India during his election campaign and his overtures to China, the new Nepalese Prime Minister K.P.Oli is making his first foreign trip to India — and Delhi is taking some comfort on that score. Foreign Secretary Vijay Gokhale is expected to travel to Sri Lanka and Bangladesh soon. Sources said he will not go to the Maldives, despite Maldivian President Abdulla Yameen’s messages of peace. But the senior government official pointed out that the Doklam crisis is an opportunity for both India and China to re-evaluate each other, notwithstanding the widening economic differential between them. 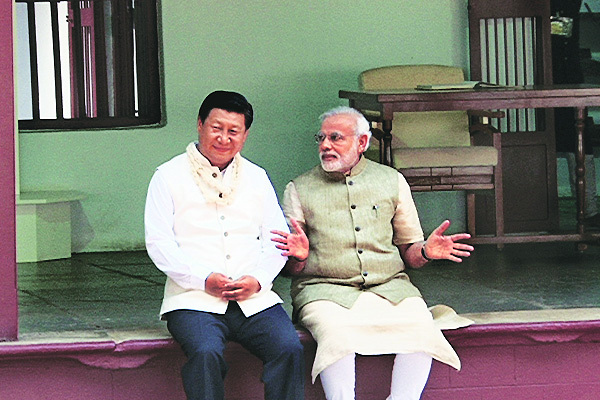 Embarking on a “reset” of its relationship with Beijing in the run-up to the meeting in June between Prime Minister Narendra Modi and Chinese President Xi Jinping on the margins of the Shanghai Cooperation Organisation (SCO) meeting — this includes tamping down of its public affection for the Dalai Lama as well as visits to Beijing by Defense Minister Nirmala Sitharaman and External Affairs Minister Sushma Swaraj in the coming weeks — it is clear that Delhi expects Beijing to reciprocate. For example, India on Monday refrained from issuing a Joint Statement between the Indian and Chinese Commerce Ministers at the end of their 11th Joint Economic Group (JEG) meeting, because the Chinese side refused to seriously address India’s massive $51 billion trade deficit with it. Officials said Indian companies “have been knocking on China’s doors at least for the last decade,” but the Chinese, for one reason or another, have refused access. “India has, in this intervening decade, exported billions of dollars of goods to the rest of the world, including the US. There is surely something the Chinese want to buy from us,” one official said. At the end of the JEG meeting, Delhi issued its own statement in which Commerce Minister Suresh Prabhu “exhorted” his counterpart, Zhong Shan, to provide greater market access to farm produce such as rice, soybean and sugar, India’s “high quality pharmaceutical products,” as well as “export of (its) IT and IT-enabled services to China”. Zhong, meanwhile, only “promised” to address the trade deficit, and laid out yet another road map on how this could be done. The senior Indian official maintained that China must recognize Indian sensitivities, even as Delhi acknowledged Beijing’s rising power worldwide, especially in South Asia. On the Maldives, for example, the unusual overture to China was made by none other than Foreign Secretary Vijay Gokhale during his trip to Beijing in February, after the imposition of emergency on the island nation by President Yameen and Delhi’s own statement that “all countries can play a positive role, instead of doing the opposite”. 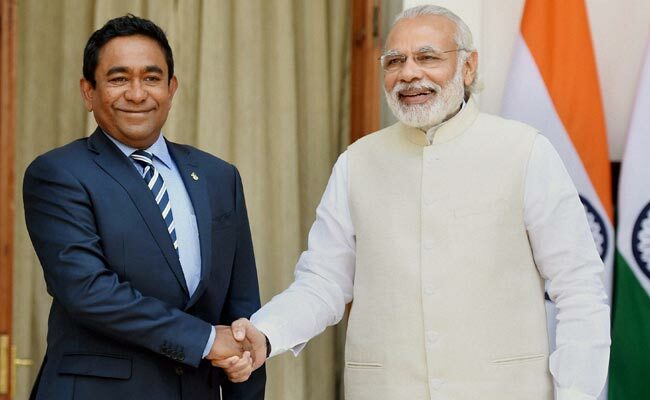 Delhi’s decision “not to militarily intervene” against Yameen’s Emergency is said to be backed by the US and the European Union, both of whom are believed to have left it to India to take a call on next steps. But Delhi seems content to ride out the political storm until at least September when general elections are slated there. On Beijing building new roads on the Doklam plateau to short-circuit “disputed” Bhutanese territory and come closer to India through the Chumbi valley, the official didn’t seem unusually concerned. “I don’t think the Chinese will attempt to change the status quo in this area again. They have understood that this region is sensitive for us. In any case, as long as what the Chinese do doesn’t prejudice the India-Bhutan-China tri-junction, it doesn’t materially change anything,” the official said.